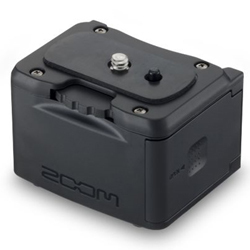 Battery case for the Q2n / QnK. Extend recording time by up to 4X longer. 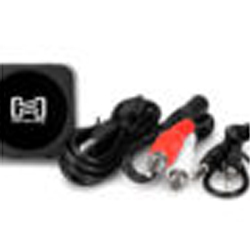 Includes micro USB cable and operation manual. Attaches to base of unit using the tripod bolt, and sandwiches between the tripod and unit when a tripod is used. 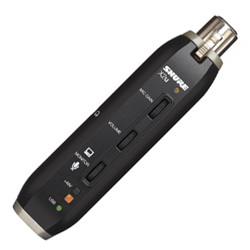 Adapter transforms your favorite XLR microphone to a USB microphone for digital recording. 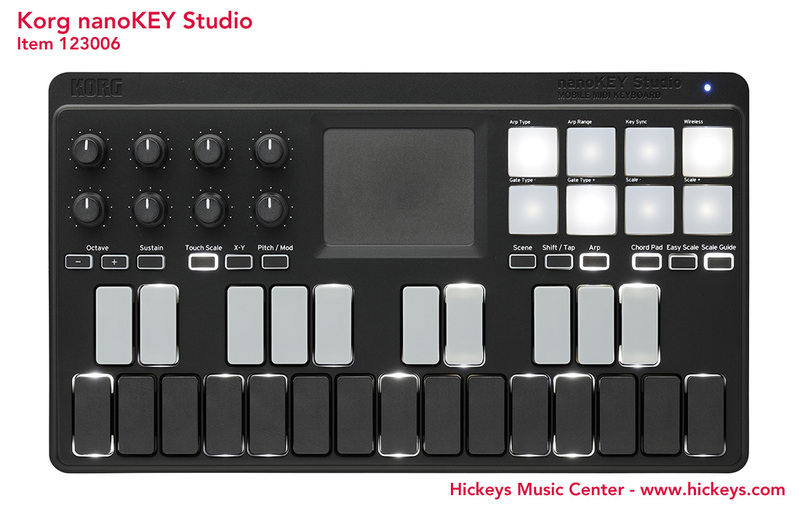 Provides Phantom Power, offers an integrated pre-amp and includes headphone jack with volume control for monitoring. The Hosa Monkey Bars Patch Cable Holder is a heavy-duty unit capable of holding a variety of patch cables and adaptors so they are always within reach. Monkey Bars features 22 cable slots for maximum capacity. 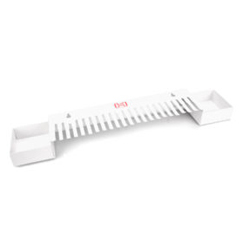 Each slot includes wide and narrow sections to accommodate patch cables of different diameters. The two side trays are deep enough to hold adaptors of most sizes-even larger adaptors like the popular Hosa Knucklebones. The Samson Stage 412 is a frequency-agile, quad-channel wireless microphone system with four handheld dynamic microphones that transmit to a single rugged metal receiver. 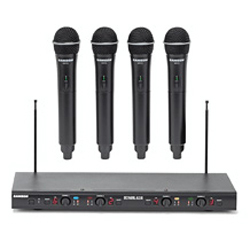 Each handheld features Samson's Q6 dynamic mic element, providing crisp, clear sound and reliable VHF wireless performance for presentation, education, house of worship, karaoke and other applications with up to four performers. 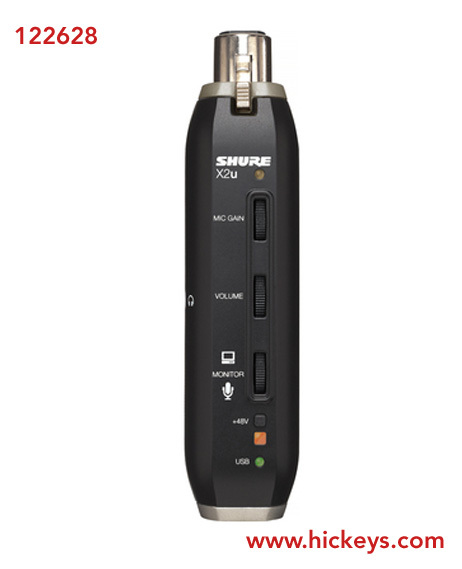 This all-in-one Recording Ensemble delivers outstanding performance for both vocals and instruments. Ideal for quality-oriented but budget-mindful musicians, the MXL 550/55R Ensemble includes the MXL 550 and MXL 551. 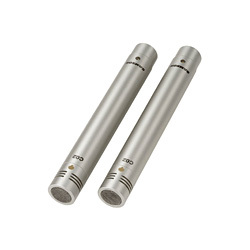 The MXL 550 is a robust vocal condenser microphone with exceptional clarity and tonal quality. The MXL 551 instrument microphone provides the dynamic range needed for acoustic guitars, drums, high-hat cymbals, pianos, percussion, stringed instruments and more. 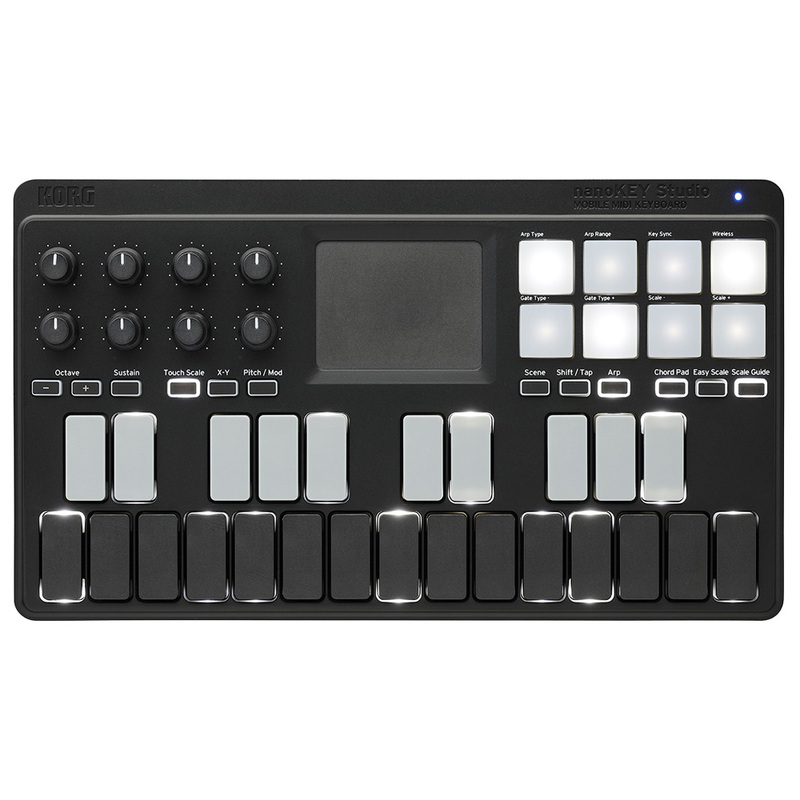 Includes AudioBox USB 96, HD7 Headphones & M7 Mic. 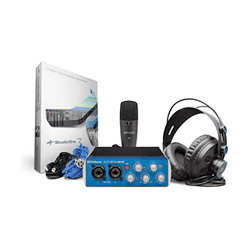 Start recording today with this complete, all-PreSonusr package! Based on the AudioBox USBr 96 audio/MIDI interface and award-winning Studio One recording and production software, PreSonus AudioBox 96 Studio is great for creating multitrack recordings, demos, live recordings, podcasts, field recordings for video and sound effects, and much more.